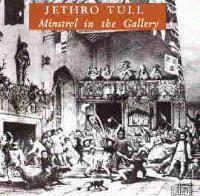 This disc is another of the recent reissues by Jethro Tull. It is also one of the band’s finest works of all time. This one shows to anyone who doubts it just why Jethro Tull is considered a progressive rock band. The lineup on this CD is what many consider to be the classic Tull grouping of Ian Anderson, Martin Barre, John Evan, Jeffrey Hammond-Hammond and Barriemore Barlow. Starting with a spoken word introduction in an old English sort of style, the song proper starts in a nice acoustic method. It has plenty of Celtic tendencies in this section of the piece. As it continues, it jumps to hard edged and frantic prog elements. This has some awesome riffing and killer changes in its length. After an extended instrumental break that includes an Anderson flute solo, the vocals return, but this time in a more hard edged style. This is certainly one of Jethro Tull’s best songs of all time. Acoustic guitar starts this one off, and the vocals bring in strong Celtic influences. Beyond the vocals, the influences are all over the place, classical melody lines, bluesy rock textures and a rather world oriented percussion sound. The cut eventually shifts gears to hard edged rock styles. The violin simply screams at times. This one is certainly very strong hard edged prog. After some almost unaccompanied vocals, other instruments begin to slowly add to the mix. The arrangement is rather sparse, but with other elements that are rather hard edged. As the intensity of the cut begins to build it is in a very powerful prog ballad sort of style. It includes a very sedate section with definite prog neo classical tendencies, and it builds from there in awesome progressive rock fashion, getting harder as it carries on. It has some very meaty guitar work, then drops to a mellower section that is very intriguing. This cut has many many changes, particularly during the extended instrumental break. It begins building up in very cool directions, getting faster This is classic Tull jamming and is all over the place. 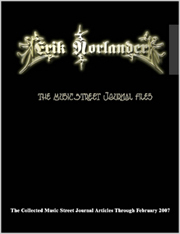 It moves into a more straight forward, almost Zeppelinish in a blues rock jam. The flute certainly elevates the cut beyond the Zeppelin zone. It drops down to very sedate and beautiful sort of tones with a balladic vocal and piano sort of mode. Then begins building again in a great neo classical prog direction. This one starts also in an acoustic ballad sort of format. It begins to become more intense in its methodology, while still maintaining the original themes. It continues in its acoustically driven mode, but embarks on a series of changes in musical themes. This extended piece begins in a mellow prog mode with the strings carrying an interesting counter melody. It begins redefining itself while still building on the themes of the earlier segments. This leads to a great prog instrumental break with hard edged tones and great soloing by all the instruments. The instruments seem to dance around one another. The vocals come back in based on this newer jamming section. This section seems to be directly related to the earlier themes but in a unique and fresh manner. There is a very dramatic riffing segment as the cut drops to a new acoustically driven classic rock sort of style. It turns electric again, building on these elements., but keeps dropping back down to the acoustic styles from time to time. Then it turns to a more sedate, classically tinged segment. As the cut begins building from there, it takes on more Celtic elements, but those Celtic elements are not blatant, but in fact rather subdued. A slow acoustic mode brings the song down almost full circle, with some great string overlays adding a lot of depth. It jumps up to a more neo classically oriented sort of jam in sedate tones, but with hard edged accents. It is very interesting and creative. It drops back to a more balladic mode. Then the number begins building back up from there. The next change is into a great prog sort of jam, that gets a bit hard edged and rather metallic at times. This song is a great adventure. This one is a very brief ballad.